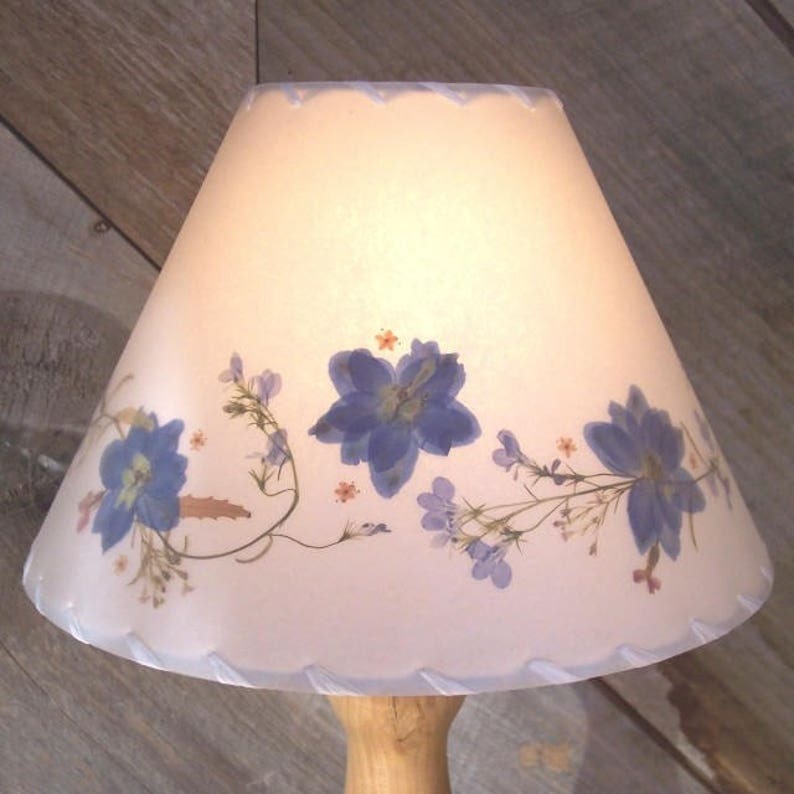 This Botanical Lampshade features a trailing border of blue delphinium and delicate lobelia or forget-me-nots. I also may use babies breath, corydalis, thyme, or other fine delicate materials. When your lamp is on, the beautiful colors and shapes really come to life, and bring a touch of the summer garden to enjoy all year long. The lampshade shown measures 4" across the top, 10" across the bottom, and is 7" tall. It has a white styrene backing and white stitching. With a larger size lampshade the proportions will look different but I will use flowers appropriate for the size of your shade. This design can be made in other sizes, please see the drop down list. If the size you need is not there, please message me. For smaller sizes please check this listing: https://www.etsy.com/listing/529979815/botanical-lampshade-with-blue-delphinium? 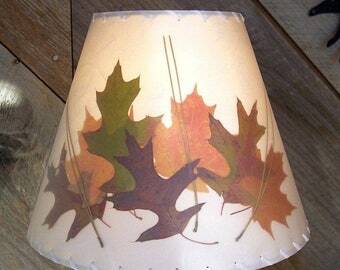 I just L-O-V-E these botanical lampshades! They make the most unique and beautiful gifts. This one has been placed into my grandchildren's room. I enjoy it every time I walk in. Thank you so much. BEAUTIFUL! They are perfect! Thank you for holding the shipment until we returned!